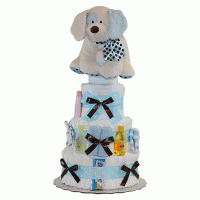 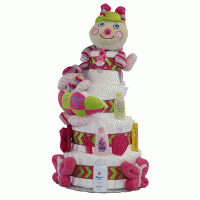 Pastels, Flowers, Polka Dots and Stripes adorn this Cutsie Caterpillar Baby Diaper Cake! 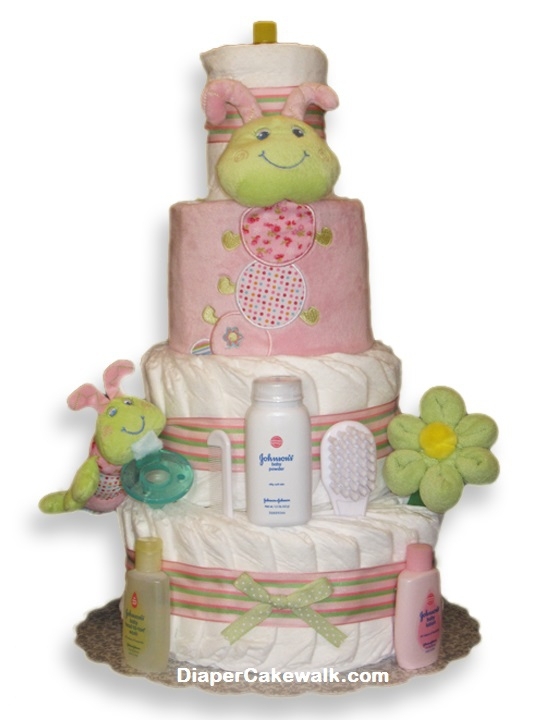 The Soft Pink and Light Green theme is sure to give that exciting yet relaxing feel to Parents-to-be on their upcoming Baby Shower! 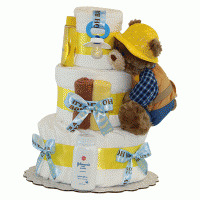 Cutsie Caterpillar Baby Blanket - 17" X 17"
I really appreciate to these seller because my diaper cake will arrive in beautifully gift-wrapped, which looks really awesome.